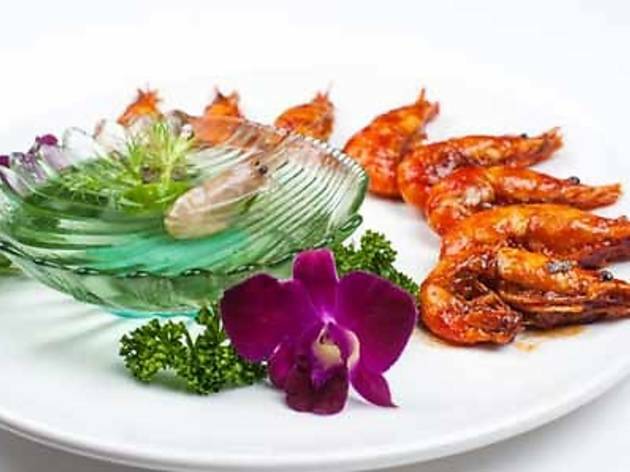 You’ll be spoilt for your choice at Shanghai with seven menus to choose from. 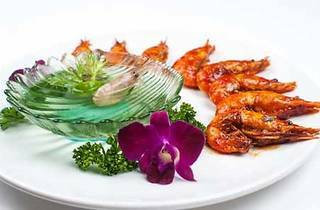 Varying in price, the menus include elaborately presented dishes like braised Shanghainese pork with prawn paste, steamed bamboo fish with Chinese rice wine sauce, braised pig’s trotter in brown sauce, smoked duck with Chinese tea leaves and braised whole abalone with vegetables. Yee sang options available include abalone, salmon, jelly fish or Canadian clam and fish roe as well as a mock abalone option for vegetarians.